You are here: Home > HTC Launches The One Series Camera Challenge, Can You Spot The Difference? HTC Launches The One Series Camera Challenge, Can You Spot The Difference? Can you spot the difference between a professional digital camera image and one taken by a smartphone? Can you do it even with images as powerful as the ones taken by HTC’s One series of smartphone cameras? HTC wants to put your knowledge of photography to the test with a series of 10 photos, identifying which one of two images was with a smartphone. While I haven’t used the HTC One X extensively, I’m obviously putting in a lot of time with the HTC One S so I’m eager to take this challenge myself. Are there distinct differences that will help you find images taken with a smartphone and if there are, can you go a perfect 10 for 10? Let us know your results! Got 8 out of 10 right. Guess the subtle differences between phone and professional cameras are still there. The whole “professional” digital camera thing is a bit of a misnomer – any entry level DSLR will provide better control and therefore quality over a smartphone. That said, while I will never give up on my SLR, it’s nice see cellphone cameras come along as an ok alternative for when you don’t have a real camera. This was kind of fun. While i’m not a pro-photographer, u can kind of tell the difference in some of the match-ups. But I got a 6/10. Its refreshing to see that David branched out finally on TmoNews to include non-specific Tmo type of articles, as I tried to suggest long ago. Now you have more ad views, and more traffic from longtime TmoNews viewers. I’m definitely taking it slow, but I’m going to include these kinds of articles from now on. I’ll include app updates as well, it’s definitely something I’m going to do to dry and drive traffic. I’ve long suffered from indecision on this, mostly because people tended to complain it wasn’t relevant. There just isn’t 365 days worth of T-Mobile news out there. No carrier has that kind of news flow, not even Verizon or AT&T. 10 out of 10! It was the image on the left the entire time for me. Also a little “right-click save as” action revealed the file names of the images so I could “verify” my answers along the way! Or you could use “inspect element” in Chrome and when you hover over the image you will see the filename highlighted. Stil, naming them “Smartphone_.jpg” etc was dumb. 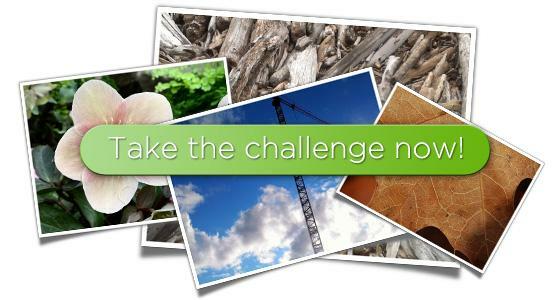 The HTC Challenge will indicate SMARTPHONE on every picture you mouse-over and click on, whether you are correct or not. At the end of the challenge, it will indicate your score out of 10, and does not indicate which ones chosen as correct or incorrect. I chose the pics that looked muddled as being the Smartphone pics and got a 5 out of 10. I think it would be better if it showed the same scene or subject side by side, but then again it would really be obvious. I took the kid to Cali last year and did the touristy stuff. Halfway there, I realized I forgot my camera and all I I had with me was my Sensation camera. I gotta say, that camera took some beautiful pics. The ocean, family, Knott’s, and I got one of Shamu jumping outta the water that blew me away. I would never replace my *real* camera for a phone camera, but for basic photo taking, HTC and Samsung have some of the best cameras on phones out there. The pictures still look really good coming out of the camera. My question is how does the camera function after it’s been living in your pocket for 6 months to a year or more? I just wish there was a lens cover like my old Motorola ZN5 had. Kinda biased in their favor, but that’s to be expected, I guess. A true comparison would have been side by side images of the same subject, but I guess they can’t pretend that they can outshoot a DSLR with a good photographer behind the viewfinder if they did that. I took the reverse psychology approach to my selection and ended up getting 2 out of 10 right. I picked “Smartphone” for each one that I thought was the more impressive looking picture. This tells me that a real camera is still better, but, all the pictures did look good. That test would be great if we were viewing the photos at the display size I use for my photos from my pro camera. And as others have said, side by side would be the real test. What’s the point of playing this? They are using a phone that Tmo US won’t get. Both use the same camera (sensor, lens, MP). It’s not really a fair challenge, especially since you’re judging shrunken 400×300 JPG’s that are plastered on to a “curled-edge photo” graphic. If you’re using the device to post crops to Facebook, then yeah, the HTC phone camera can be the equivalent of a “professional” DSLR. I bet there would be a much wider quality differential if they let you download the original full images and then compared them. Rant aside, the pics look pretty good – well enough to not carry a point-and-shoot cam everywhere for those spur of the moment shots. Glad to see HTC is stepping up the quality of its previously hideous cameras. Breaking news: when you resize a photo to about 0.1 megapixels, almost any camera currently sold will look acceptable! 7 out of 10 , but i feel like subject matter might have helped me a little. I have the One S and the N8 and the N8 camera performs better in all lighting conditions, captures more detail and has less noise and color saturation than the One S. It isn’t just because the N8 is 12MP either. The Zeiss lens and much larger image sensor pulls in more light even though the One S has a BSI Camera and better aperture. One thing I noticed about the One S is that it is easier to get blurry shots, if I zoom in to a picture I have taken, the text is a tad bit blurry/out of focus yet on the N8 it is crisp. The One S camer doesn’t capture as much detail in dimly lit areas as the N8. For example, the areas in the shadow near my ottoman, the N8 was able to catch the cloth design on the ottoman whereas the One S just had it blackened out in a shadow.This is without flash used on both phones and the lens wiped clean. Now, I enjoy taking pictures with the One S a million times over compared to the N8 but in my testing, the N8 has outperformed the One S in raw picture quality. I will soon be buying the 808 PureView and it will surely put the N8 to shame and have a similar camera UI to the One S.
Side note: The D30 One S case is the BEST case that I have ever bought, it looks great and protects without making the device bulky!